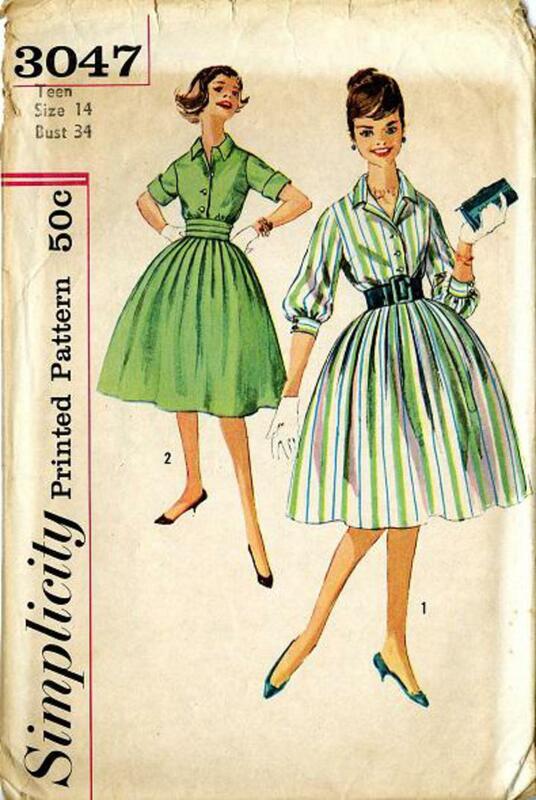 1950's Simplicity #3047 vintage sewing pattern. Teen dress and cummerbund with full flared skirt. Dress has a collar, set-in sleeves, button front closing and full, softly pleated skirt. Short sleeves or below the elbow sleeves.